Makes mealtimes free of mess and stress. Unparalleled practicality and ease of use. 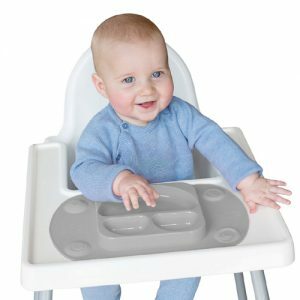 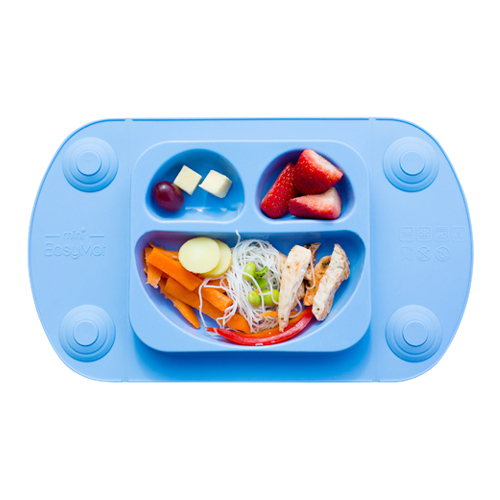 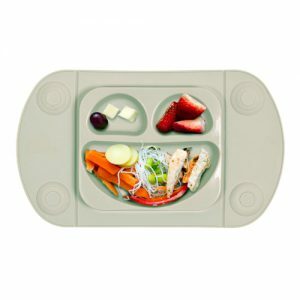 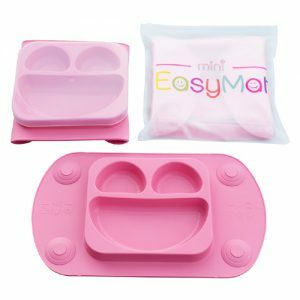 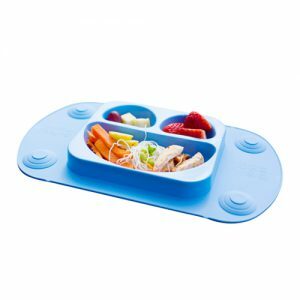 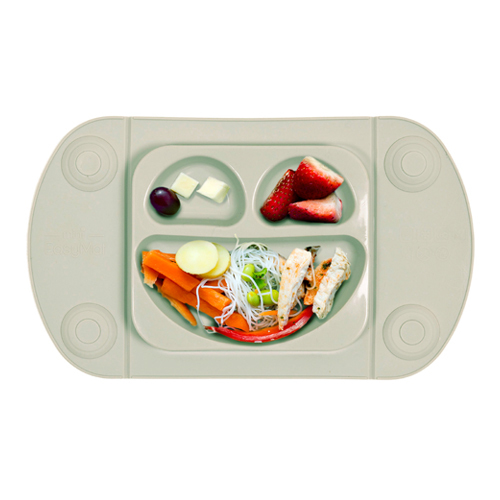 The EasyMat Mini is an innovative, ergonomic Weaning Suction Plate and Place Mat with Lid and Carry Case. 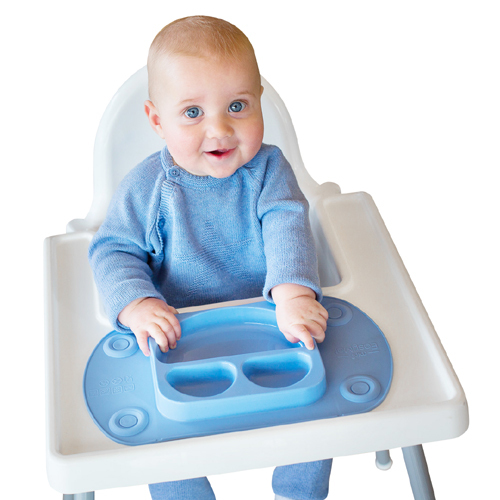 Food size portions suitable up to age 2 1/2. Prevents whole meals ending up on the floor and encourages independent self-feeding with less mess. Designed for use on high chairs, and as a portable mat. Universal fit for most highchairs (*check dimensions if unsure). 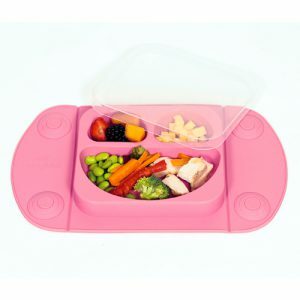 Compact folding design with lid and carry case makes days out, meals out and holidays easier with less fuss and more fun. Suctions to any flat surface (except unfinished wood) – With EasyMat Mini, the suction cups positioned at each corner securely hold everything steadily in place on the table, tray or high chair, which means that the food stays secure and can’t be tipped or thrown on the floor! 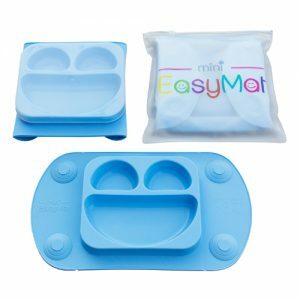 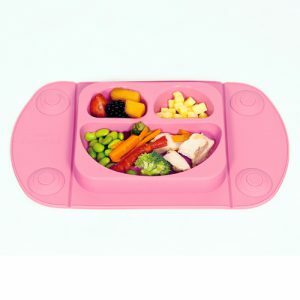 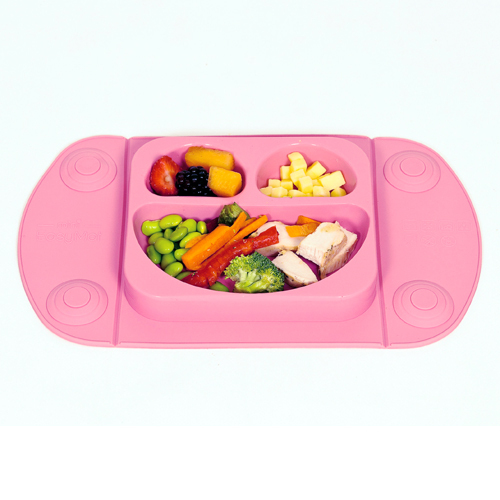 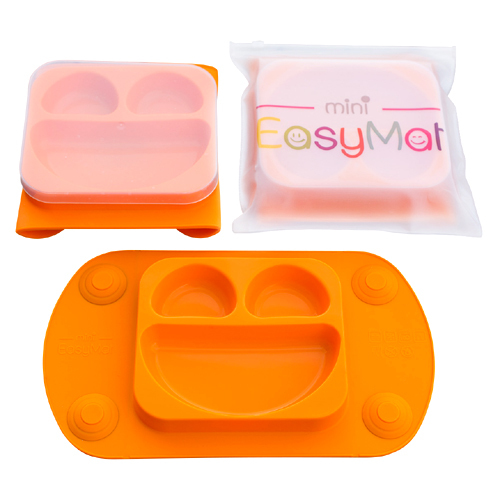 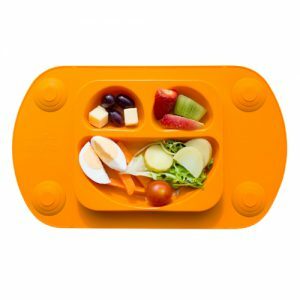 EasyMat Mini is BPA Free 100% LFGB approved high-quality food-grade silicone. EU standard tested to EN14372:2004. 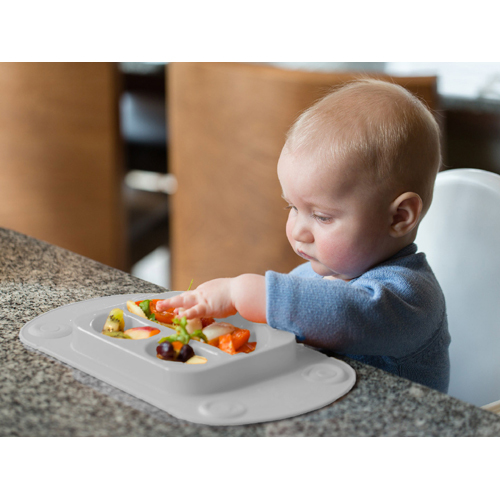 It’s virtually unbreakable and free from chemicals. You can put EasyMat Mini in the dishwasher time after time and it won’t distort, discolour or leach toxins into your child’s food.